What are the various elements in creating great chemistry with women visiting your dealership? The good news? Half of all women buyers shop at only one (1) dealership. The bad news? 6 in 10 women report that once they leave a dealership and didn’t buy, they never return there. YOU HAVE A SMALL WINDOW TO MAKE AN OUTSTANDING IMPRESSION. Today’s shopping starts long before a woman walks in. What chemistry are you creating with your Internet, Facebook and Twitter presence? Is your site appealing & personal? Is it engaging? How about reviews – are they easy to find? Don’t forget to show various demographics. Have value-add content. And, certainly you site should be mobile responsive. Social media keeps your message current. Daily posts show that your dealership is actively engaging. Be a trusted resources by providing educational, lifestyle and life-stage content. Reviews by women for women will bring great results, too; women rely on reviews more than men. Be sure to offer women-centric ads that speak to what matters - like safety and practicality. Think of ways to differentiate your store from the competition. How do you show a woman and her family that you are the better choice? Your advertising should speak of engagement and service. When a woman arrives, her perception forms instantaneously. Aesthetic chemistry matters. Flowers, artwork, fresh paint and a warm environment add comfort. Another important aspect is a balanced workforce – it reflects that you are heading into the future. Your sales advisors have the task of engagement. A good impression is mandatory, and goes beyond appearance and friendly demeanor. Women demand a respectful, trusted advisor who is interested in finding the best car for her. How well does your team understand the nuances of Emotional Intelligence? Advisors should be able to detect frustration and concern, which means they must be excellent listeners, too. Here, she is dealing with a new person, altogether. If she perceives she is being coerced or her questions aren’t being answered to her satisfaction, she can become uncomfortable; that can unravel the entire buying experience. Keeping it easy, be patient, and be a solution provider. Here she will again interact with a new group of people. This critical relationship delivers revenue to your dealership for 5-8 years, and is a lifeline. Getting a car serviced is rarely a welcome task, so it is important to take steps to ensure convenience and comfort. A courtesy vehicle is a must, as well as a comfortable waiting area with Wi-Fi. Dealerships that build great chemistry go beyond the standard – they provide healthy snacks & beverages, PlayStations and child play areas as well as workout rooms and business lounge. Educational videos and seminars help retain and engage clients. Larger dealerships have a Director of Customer Experience that takes a true pulse of your customer’s journey and charts course corrections if necessary. They solicit fair and authentic reviews, thanking and acknowledging your customer’s contribution. Be sure to use reviews by and for women in your advertising, outbound emails, web site and social media. Last but not least is the chemistry of an ideal woman buyer. Not all buyers will fall into this category, but you and your staff have a real say here. With your dealership’s help, she can be confident and comfortable throughout. She can drive away in a car that she loves, feeling satisfied and excited. She can feel empowered knowing she has a thorough understanding of her car and your ongoing commitment to her satisfaction. If she has a question, she knows exactly who to call. Happy New Year to you all! Now is the perfect time to reflect on your current customer engagement and interactions strategies in order to exceed this past year's business. How to achieve this? Does this sound unreasonable? For starters, with the emerging buying power of women, unemployment at its lowest rate in years, and millennial buyers out in full force, 2016 may very well be a repeat performance. Naturally, it's nothing to be taken for granted and every walk-in matters. When it comes to customer service or sales, we often talk about having the right chemistry with a customer. But what does that really mean? What are the right ingredients to attract women shoppers, turn them into buyers and keep them coming back to your service center? There are many combinations of the “right formula” and it can seem very complex to find the optimal combination. We have created a handy chart to use as a reference for steps your dealership can take to help “re-create” the right synergy and drive more dollars to your bottom line this new year. Download Now and share this with your team at the next sales/company meeting. Women-Drivers.com will take the next few weeks to touch upon the elements creating chemistry and trust including WEBSITE, SOCIAL MEDIA, ADVERTISING, SALES, STORE ENVIRONMENT, F & I, SERVICE, and REPUTATION. Lastly, we will discuss how all of the processes, people and planning you have in place have a huge difference in driving in YOUR IDEAL BUYER. Let's check “under the hood” at the Limbic System and the Neocortex. After last week’s Part 1 article, you know that when selling cars, it had better be your NeoCortex doing the work – and definitely not your Limbic System. When selling to women, having the optimim level of engagement with your buyer is imperative. While you know that intellectually, it helps to have reminders in place to reduce the natural tendency to let your brain’s autopilot take control. 1. Know what matters to women. Women have a list of needs when buying a car, but emotional factors also figure into this decision. The top reason women report buying at a particular dealership is not price. The top reason is the customer service and treatment received. Price ranks second. This is important, because it really means you have to have the best price and top that off with unparalleled sales and customer service. When it comes to what women look for when working with a specific sales person, trust and respect rank first and second. Here, the Limbic System is at work in your woman prospect’s brain, comparing you with her memories and making emotional judgements. The easiest way to build trust is to listen carefully and remain present. 2. Be confident, but not overly so. Confidence matters in life, but over-confidence can derail a potential deal. Overconfidence can allow you to miss the subtle emotions from your prospect that may be signaling she is apprehensive, intimidated or frustrated. Keeping overconfidence in check can help you ask the questions necessary to mitigate any concerns she may have. Her emotions may have nothing to do with your dealership or your sales process. She may have brought those emotions with her from another experience, and it is up to you to find out how to overcome the issues. Listen more and talk less to help you assess how the deal is proceeding. 3. Stay logical. While emotions will play into a car sale for your woman buyer, it is important that you stay logical and focused. Relying on your intuition, instinct or “gut feel” has great potential to mislead you. Relying on a “smile” from your prospect as an indicator of her happiness, can be completely wrong. Studies show that 90% of people smile when they are frustrated. Again, culture and gender can be at play here – women often smile out of habit to placate others. Your instinct has a good chance of perceiving false signals of success. Keep a logical perspective on the immediate situation to keep from misreading anything. 4. Find out what you don’t know. I’s easy – and natural - to rely on experience and knowledge when selling. Your prospect will expect you to have answers to her questions. Often times, however, it’s what you don’t know that will break the deal. Maintain an open mind, and ask questions until you know what you need to know to lead the sale to a successful close. For example, some women may have trouble articulating their issues about the car they want, the warranty, or the loan. Don’t assume you know what they are asking before you answer a question. Careful not to interrupt or answer the question before she’s finished asking. There is nothing easy about being human. But paying close attention to paying attention will make a real difference when selling to this emerging, powerful market in the New Year. As we get ready to embark on a new year, we will dedicate the last two issues of Women’s Wednesdays in 2015 to an ultra-sophisticated topic….the Brain. More specifically, the science of how it works, or Neuroscience. Why? Leveraging scientific knowledge about the brain creates a better sales process, drives more dollars to your dealership’s bottom line and creates happy women customers that remain loyal to your dealership. Toning down the Limbic System and firing up your Neocortex will help your sales team avoid “autopilot” and turn potential lost sales into successful deals and new clients. When an expected conversion doesn’t happen, it is human nature to blame or to shrug it off and say someone wasn’t a serious buyer. By employing new ideas, however, your sales team will avoid miscues – and missed sales. Let’s take a closer look. Any activity that is repeated over and over can become routine. Our brains are built that way for efficiency. The brain’s Limbic System stores these memories and reactions so we can call on them again rather than “recreate the wheel.” This system can be handy when we are doing tasks that don’t require a lot of new thought, such as driving a car. The Neocortex, on the other hand, is the best part of the brain to use during a car sale. The Neocortex is in charge of language, reason and analysis. This part of the brain needs to be active and supercharged during the sales process in order to take in all of the information necessary to understand interactions with your customers. 1. Assume your woman browser is a buyer until she buys a car. This may sound silly, but it is important not to dismiss anyone who is IN A DEALERSHIP looking at a car. On average, women visit two dealerships prior to buying a car. Dismissing any prospect may mean she buys at the “other” store. Stay engaged and find a way to interact with your women prospects. Making assumptions can prevent accurate assessments of the potential success of a sale. Allowing emotions to cloud logic is easy to do – that Limbic System is always ready to turn on and take over! Work to remove any unconscious bias so that the sales engagement doesn’t follow the path of past unsuccessful encounters. Next week we will examine 4 new ways to Interrupt the Brains AutoPilot. Sell more than cars in your advertising. Women look at car ads, read dealer reviews and use social media to help make a car buying decision. Do your ads only talk about price? If so, spend more time conveying your reputation for excellent service and trustworthy business. Be the dealership that attracts women buyers because they can get a great car from a trusted, respectful sales advisor AND great service for the next five to eight years. Show that your customers matter before, during and after the sale. Include reviews by women on your website and social media. Provide stories about happy customers. Show women that your service center is professional, fast, trustworthy and provides amenities that matter to women. Nearly 40% of women out earn their husbands. And when researching for a car, women rely on car reviews about 50% more than men. Understand and respect women’s emotions. Be sure your sales advisors understand woman aren’t “ just shopping". Understanding body language will teach you if your customer is engaged in the process. (e.g., folded arms, stiff body and short responses probably mean the conversation is not going well). Be sure to listen – distinct from hearing. Be ready to answer tough questions. For women, a car is much more than a way to get from point A to point B. Women will do plenty of research before visiting. Be ready to listen to a woman’s needs and have truthful, knowledgeable answers ready. If you don’t have those answers, the dealership down the road will. Sell your dealership, too. Let women shoppers know what is exceptional about your service business Is it free car washes? Courtesy vehicles? Do you have extended service hours or exercise rooms? How about quiet spaces to conduct business? 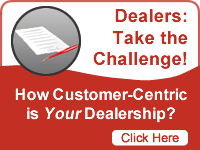 What is exceptional about your dealership? Let women know this when they are shopping for a car! Ultimately, the most important thing to remember when selling to women is: don’t assume anything. The world of women’s car buying is changing continuously. Women buyers have different reasons than men for choosing where they finalize the deal. Understanding the nuances of women’s buying habits can mean the difference of making a sale or losing it. It's easy to make the assumption that price is the first priority. Price does matter, but it’s weighed along with more emotional priorities like trust and respect. When women are asked their reasons for purchasing at a particular dealership, price is the #2 factor. The top reason is a positive engagement with the sale associate. Now, think about your car ads and commercials that run each week. How much focus is on the price? Remember women are buying over half of the cars today and influencing 80% of the deals! Be careful your advertising isn’t too slanted toward sounding like power tools from the home improvement store. Cars and power tools may be perceived the same by men, but women see more nuance in the car deal. Women rely on reviews and reputation 50% more than men. Showcase your stellar reputation in commercials so women "get" what a reputable, comfortable and trustworthy place your store is to do business. Sell more than cars in your advertising. Women look at car ads, read dealer reviews and use social media to help make a car buying decision. Be the dealership that attracts women because they can get a great deal from a trusted, respectful sales advisor AND great service for the next five to eight years. Show that your customers matter before, during and after the deal. Include reviews by women on your website and social media. Provide stories about happy customers. Show women that your service center is professional, fast, and trustworthy and provides amenities that matter to women, like a comfortable place to wait, service hours that respect her time and extras, like a courtesy car. 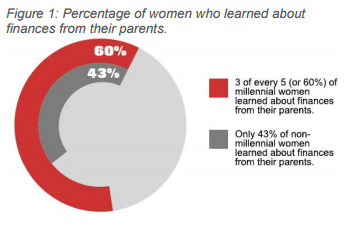 Have You Downloaded Our FREE Report On Millennial Women Car Buyers? Selling cars to women takes a confident equipped sales person with a high level of communication skills, personal engagement and EQ. Women visit 30% more dealerships and may take a longer time in the shopping funnel than men. Patience is another key aspect to making a sale. Understanding when to stop pitching ideas and pull back is extremely important. Going overboard can be perceived as annoying or assertive an end up being a deal-breaker. Here are some signs of overselling. These show shoppers may be changing their minds and no longer interested. Paying attention to these can help your sales team pull back when they start overselling without realizing it. 1. Shopper becomes Distracted - When customers get busy with their phones while having a conversation with their salesperson, this is an indication that Facebook, Pinterest or Instagram are winning. It shows the potential buyer is losing interest and could leave soon if their interests or needs are not piqued. 2. Unease in Body Language - Body language, like averting eye contact and fidgeting, can be signs that are not hard to miss. These body movements show that customers are tired of listening to the pitch. They may believe their salesperson is trying to assert his/her personal opinion on them regardless of understanding what it is they want. This can cause frustration. 3. Moving Away From Salesperson - When women shoppers begin to move away, it shows the salesperson might have overdone it. This is the time to stop focusing on techniques and check in by asking them questions on their interest. One of the main reasons women go to more dealerships is NOT price. Rather, it’s because they want to get their buying experience “right”. If that initial engagement doesn’t go as well as they want, they will leave your dealership and go elsewhere. The sale and residual revenue have been lost forever. What’s the cost of your cumulative lost sales due to poor first engagement? 1. Understanding what women buyers want and need is the key. Instead of pitching ideas right from the beginning, provide a space for women to express themselves. Ask questions and then ask some more. This is the best way to learn what their car buying needs are. It also provides a great opening to get related, so there is a connection; women buy when there is trust and respect provided. Listen to them first and then pitch ideas. 2. Friendly sales people are easier to talk to and women feel more comfortable around them. They find friendly salespersons more likeable. Our research shows that likeability is one of the top factors that help close a deal.